152 Old Dalmarnock Road,Glasgow. G40 4LH. Tel: 01415547027. There has been licensed premises here since 1837. Owner George Wood traded as a victualler and spirit merchant here until the 1850s. In 1859 Englishman, Grocer, Wine & Spirit Merchant William Lind took over the business, he stayed at 152 Old Dalmarnock Road with his wife Elizabeth and a large family of children all of whom worked in either the pub or the licensed grocer shop. The family run business was a success until 1891 when the business was sold to Thomas McCormick. Thomas McCormick came to Glasgow at an early age from County Fermanagh, Ireland. He entered into the employment as a steel worker in Blochairn Works before becoming one of the east ends most popular publican. He opened his fist pub in the Gallowgate in 1879 then another in Little Street, Calton, Sister Street at the corner of Broad Street, many will remember this old pub as the Olympia Bar, then Old Dalmarnock Road was added, all his pubs adorned the name McCormick's with wines & spirits at each side of his name. 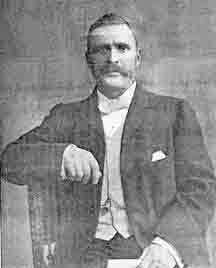 Mr McCormick became a prominent figure in the Licensed Trade Defence Association, becoming convener of the Camlachie Division and a member of the Glasgow Executive Board, he was also a member of the Eastern and Clydesdale Merchants Association and took a great interest in the Sir William Wallace Four-in-Hand Club. Thomas died in 1905, the funeral was held in S. Mary's Church, Abercromby Street, hundreds turned out to pay their respects, over forty carriages followed him to his resting place at old Dalbeth Cemetery. During the progress of the mourning many shops were closed and blinds were drawn to show respect for this popular gentleman. The pub stayed in the family until the 1930s. Thomas McCormick's old premises on the Gallowgate. 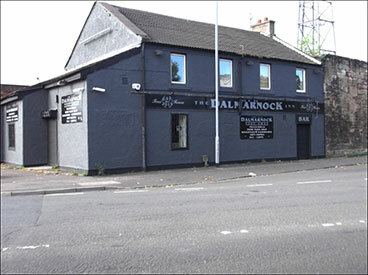 The old Hayfield name has disappeared and after a new paint job the title above the door is now The Old Dalmarnock Inn. 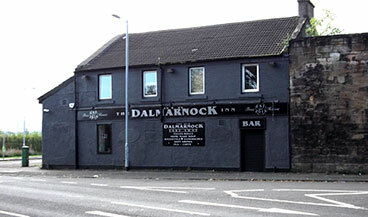 The Old Dalmarnock Inn, 2014. Thanks to Colin Walker for the images. The Old Dalmarnock Inn 2014.